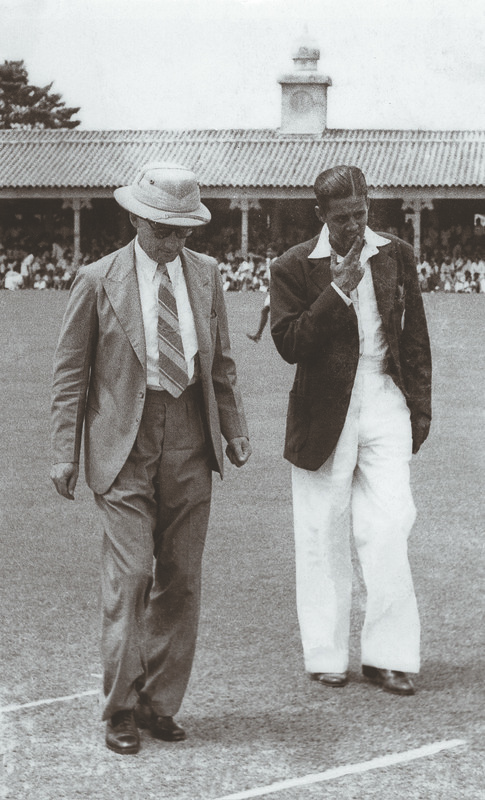 It was on a day like this, 43 years ago, Sri Lankan cricket made its biggest impact in the world stage. 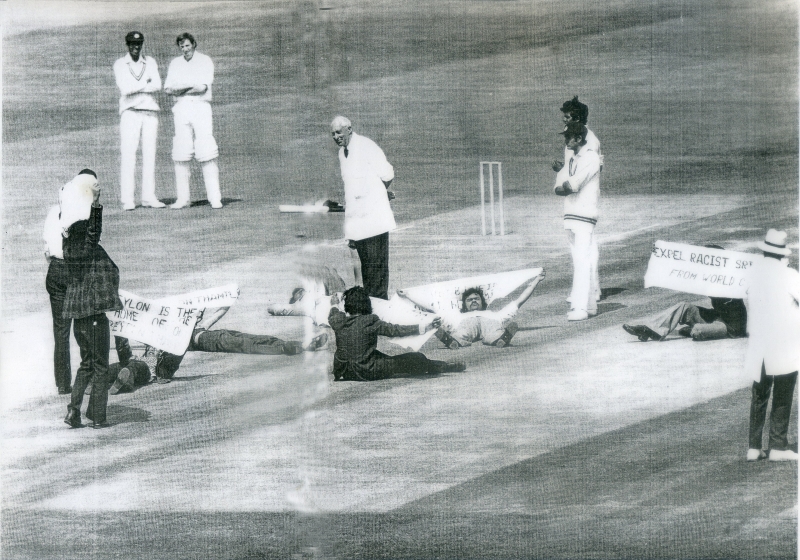 The six full members of the ICC were automatic choices for the 1975 World Cup and in a bid to make up the numbers, Sri Lanka and a team comprising cricketers from East Africa were invited to play the inaugural event. The quality of Sri Lankan cricket was displayed on this day at The Oval against an Australian side comprising the Chappell brothers, Dennis Lille, Jeff Thomson and others. A century by Alan Turner and half-centuries by Rick McCosker, Greg Chappell, and Doug Walters had propelled Australia to a total of 328. Many would have thought that Sri Lanka had little chance. But they did well; reaching 150 for two and needed 179 runs in 30 overs with eight wickets in hand. Australian skipper Ian Chappell was a worried man. Read the rest of this entry ? “I remember the incident very clearly. Duleep Mendis was batting superbly, striking the Australian bowlers with great ease on a perfect and placid London Oval pitch. He was about 35 runs when Thompson was re-introduced into the attack for his second spell. Thompson was unimaginably fast (100 mph) and deadly as the ball was slung by him with a whipping action and would cut back to the right hander off the pitch. The particular delivery which felled Duleep I saw clearly: it was pitched short outside the off stump and Mendis shaped for a sizzling cut which was his favourite shot. But alas, the ball cut back and struck him right in the centre of the temple. Our dressing room was upstairs in the main Oval Pavillion. 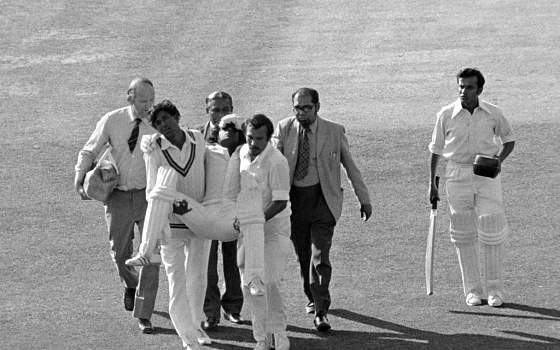 As Mendis sank to the ground, Denis Chanmugam and I ran to the pitch instantly. I found Duleep in a hopeless situation with his eye balls turning upwards. Denis and I lifted him up and carried him back to the pavilion. Mendis was made of steel and you can see him even in this hopeless situation shielding his eyes from the burning sun. Read the rest of this entry ? The Students Federation for Free Eelam is planning to petition the city police commissioner to urge him not to grant permission for the IPL cricket matches in Chennai, if Sri Lankan players are participating. The first IPL match this season is to be played between Chennai Super Kings and Mumbai Indians at the M.A. Chidambaram stadium on April 6. The Tamil Nadu Cricket Association’s application seeking a public resort licence to conduct the match is pending with the city police. The federation’s state coordinator, V. Prabhakaran, said letters would be written to the Board of Control for Cricket in India, IPL team owners as well as stadium authorities to not permit Sri Lankans to play in Chennai as it would hurt the sentiments of Tamils in the State. “A decision to this effect was taken after a majority of youth, who responded to a questionnaire in Chennai on Sunday, concurred with our view that Sri Lankan players should not be allowed to play in Chennai,” he said. Earlier in the day, several teams of students went around distributing hundreds of questionnaires to youth in the city. Some of the questions were – are you aware of the Sri Lankan issue? Should Sri Lankan players be allowed to play IPL in Chennai? Do you support the ongoing students’ protests? Read the rest of this entry ? 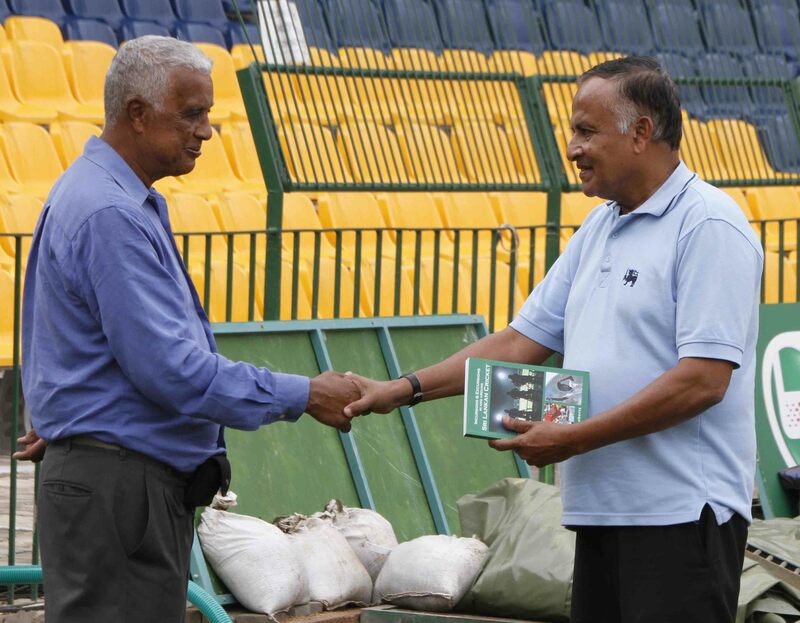 This presentation of my book Incursions and Excursions in and around Sri Lankan Cricket occurred at the R. Premadasa Stadium last year, during the World Cup 2011 squad’s practice session. It was deliberately timed before the quarter-finals of the World Cup because this author holds that the plaudits that should be extended to the cricketers remain valid, irrespective of the joys or sorrows attending the outcome of one game. 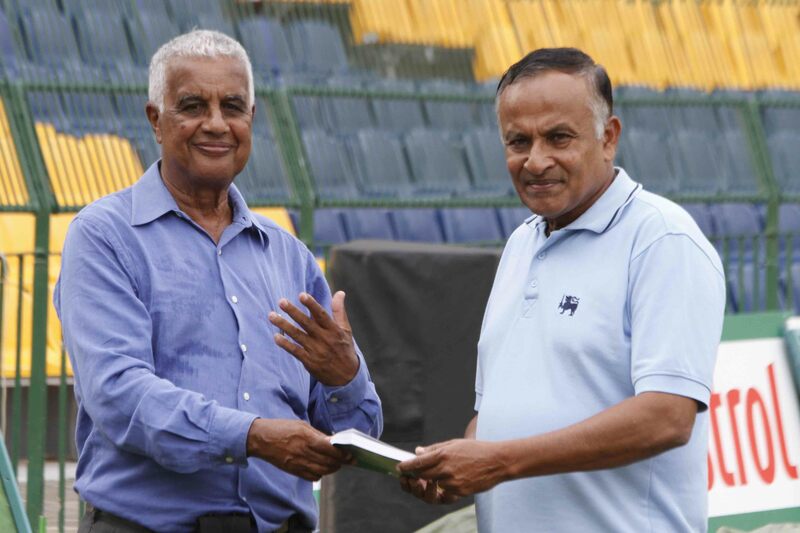 This gesture marks my appreciation of the achievements secured by the various Sri Lankan squads in recent years and, most significantly, the measured and calm manner in which they responded to the terrorist attack in Lahore on March 3, 2009, an event that is reviewed as Chapter VI in this book. Around 2.45 pm a yellow weather balloon bobbed up above the Lord’s pavilion. It had “Boycott Sri Lanka” scrawled on the side in thick black ink, and a Tamil flag tied around the rope that tethered it to the ground. 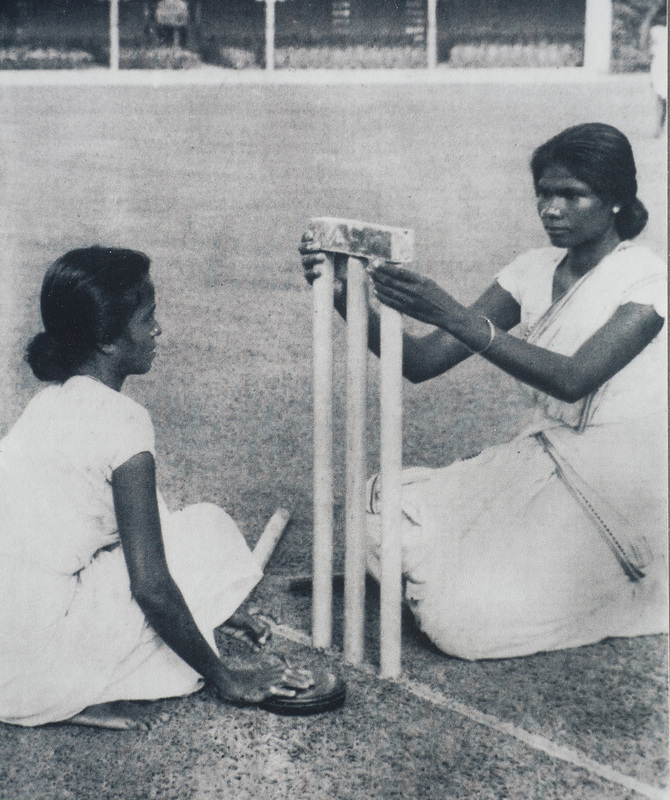 Cricket has often been portrayed as something that has helped hold Sri Lankan society together in the last 30 years. Only this week Kumar Sangakkara described it as the “heal-all of Sri Lanka’s social evils”. But this series is being played out to the sound of furious protests from London’s sizeable Tamil community, who are calling for the ECB to refuse to play against Sri Lanka until an independent investigation has been launched into allegations of war crimes committed by the government at the end of civil war in 2009. The UN estimates that 40,000 Tamil civilians were killed. The idea that the national team rises above the rifts that run so deep in Sri Lankan society looks a little less convincing since Muttiah Muralitharan has retired. 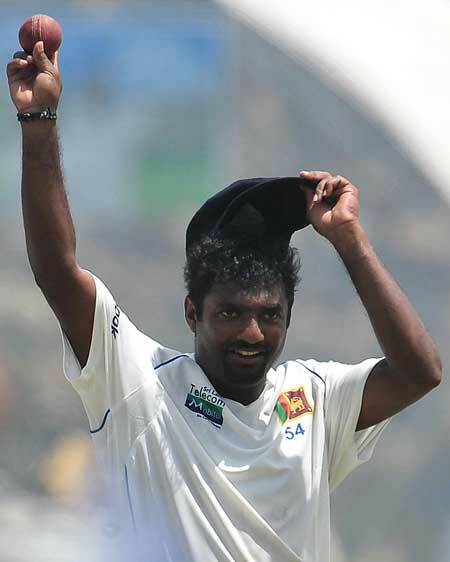 Murali was one of the few Tamils in the team, along with Angelo Mathews, who is currently injured. “We hoped Murali would say something to support the Tamil people but he ended up supporting President Rajapaksa,” said Tamil spokesman Thusiyan Nandakumar. 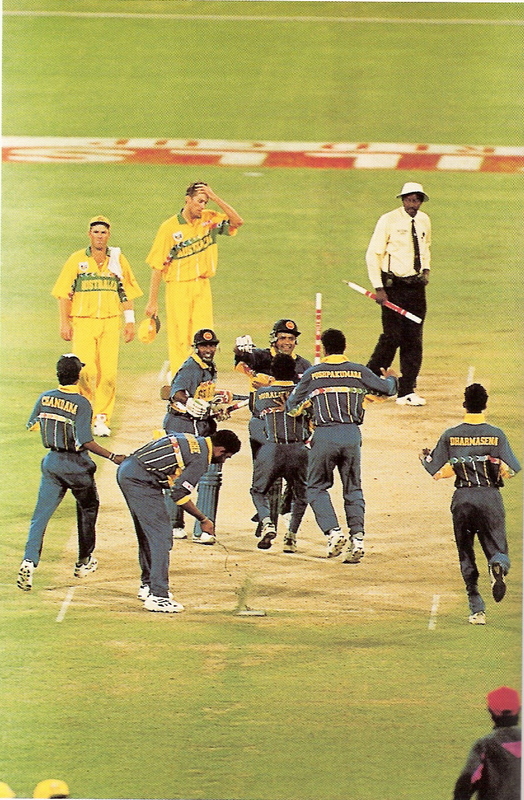 “At the time when the Tamil people were down and out, many people looked up to Murali to say something. And those people were disappointed when he did not. He was the only Tamil face out there who was recognised worldwide, but he has not even joined us in asking for an independent investigation.” Several English politicians have, including David Cameron. Read the rest of this entry ? Price: Rs 800/- Read the rest of this entry ? The UK-based LTTE rump is planning to disrupt the Sri Lankan cricket team’s forthcoming tour of England, The Island learns. A senior government official told ‘The Island’ that the LTTE activists had organised a series of protests, targeting the Sri Lankan team and in a bid to pressure the England Cricket Board to call off the tour. Responding to a query, the official said that it would be the responsibility of the UK authorities to ensure the safety and security of the visiting cricket team. The official said that the organisers had launched a campaign to bring a large group of Eelam activists on May 14 morning to the Oxbridge Cricket Ground, where Tillekeratne Dilshan’s team would be playing their first match. According to him, the protesters would try to disrupt the match, unless the British took tangible action to keep them at bay. The first Test match begins on May 26 at Sophia Gardens Cardiff. The tour includes three Tests, one T- 20 international and five ODIs. According to a widely circulated message among the eelamists, the LTTE rump says the UK cut all bilateral relations with Robert Mugabe’s Zimbabwe in 2008 due to large scale human rights violations in that country. South Africa, too, had been subject to ‘sports sanctions’ not only by the British, but FIFA and IOC as well, the eelamists say, urging the British to slap sanctions on Sri Lanka. The LTTE rump has declared that a team which represented “war criminals and a genocidal state,” should not be welcomed in the UK. UK-based Ram Sivalingham, Deputy Prime Minister of the so-called Transnational Government of Tamil Eelam (TGTE) called for a meet at Scarborough Civic Centre, conference Room B, on May Day, to discuss ways and means of pressuring the UNSG to appoint an independent international war crimes investigation in spite of strong protests by the GoSL. Sources said that Read the rest of this entry ? You are currently browsing the archives for the Tamil demonstrations category.